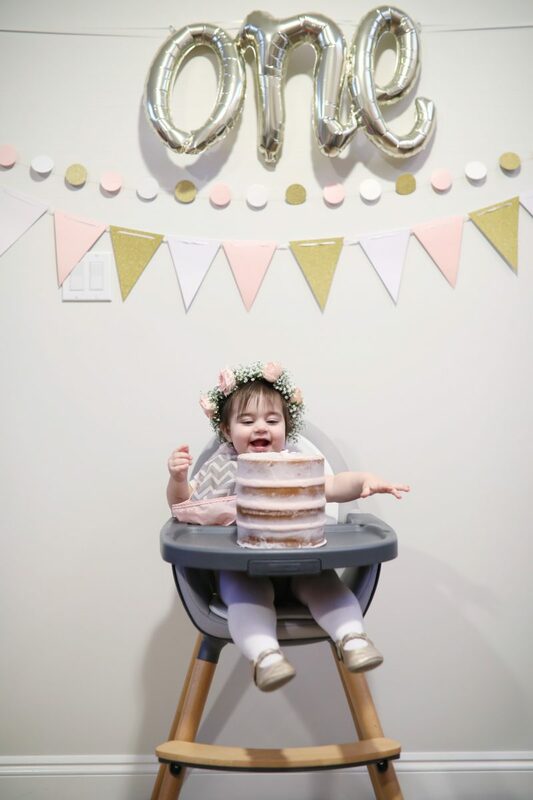 And just like that, She’s one! 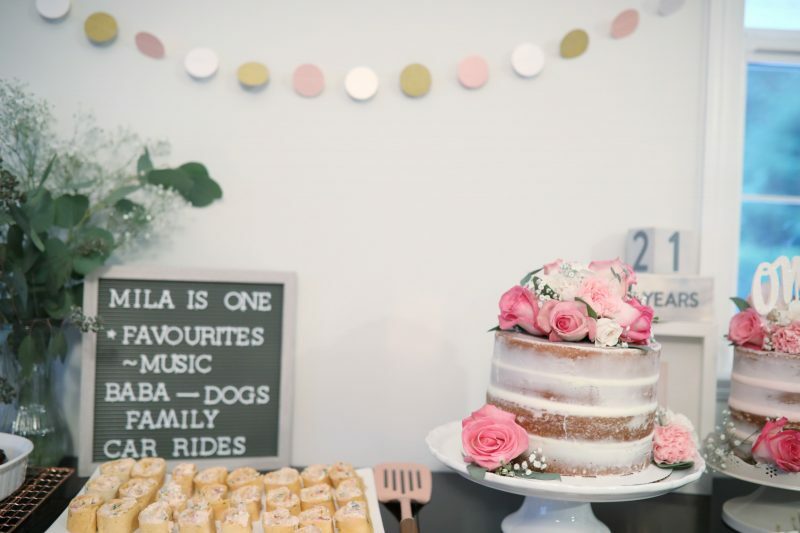 I think I’ve made it pretty clear by now that I LOVE planning parties so the excitement to plan a first birthday party again made me just a tad giddy inside! 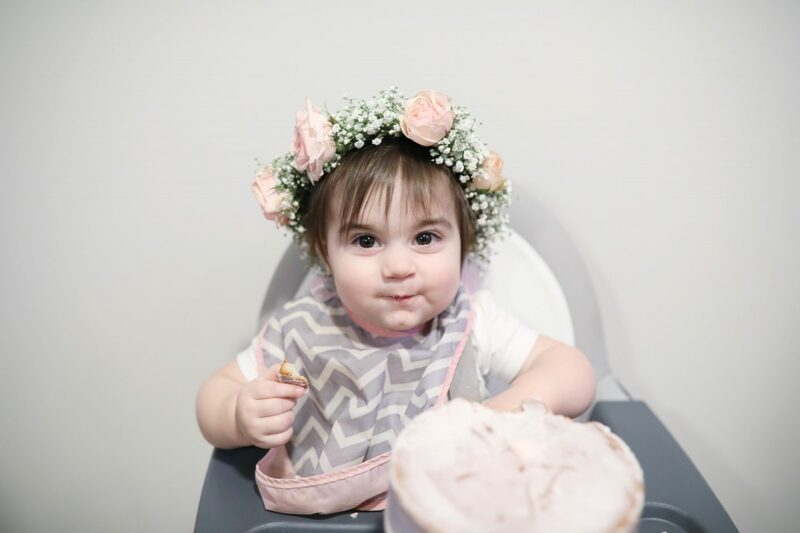 Florals have been a theme for Mila since before she was born. 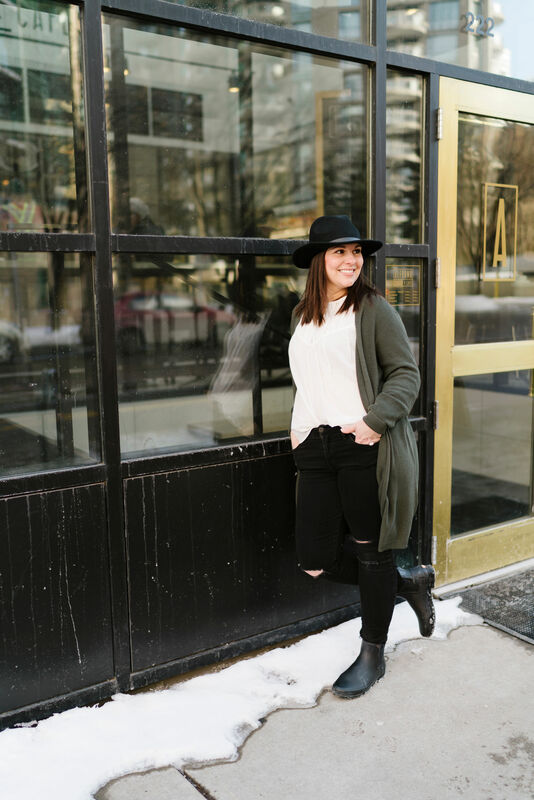 Her nursery has pops of floral, her babyshower that my sweet friends organized was full of pretty florals and a lot of her wardrobe has elements of floral. 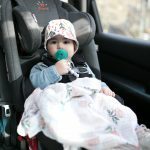 I knew early on that her first birthday would carry this theme. 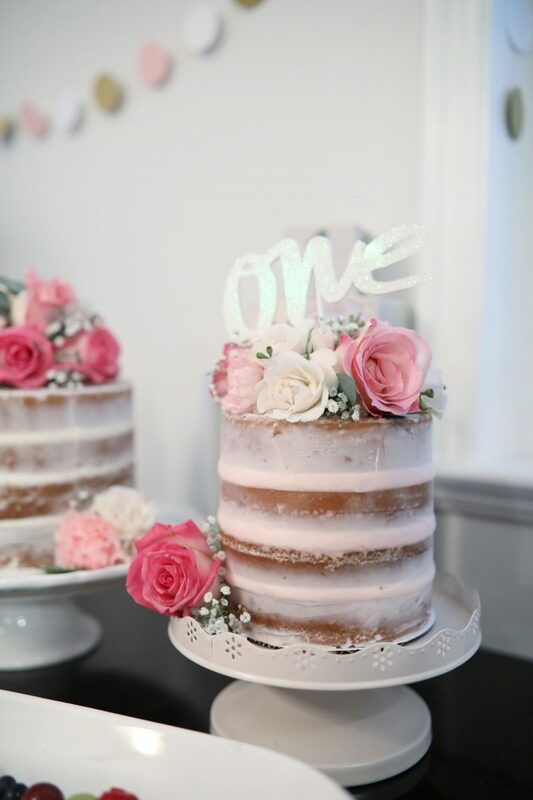 I fell in love with an idea for the cake and from there it was really easy to pull it all together. We decided to do two cakes, a smash cake just for Mila and a cake for everyone else:) . My friend, Joelle from Lil.j.Delights makes the best cakes. Click here to see her designs and to place your next birthday cake order if you’re local! 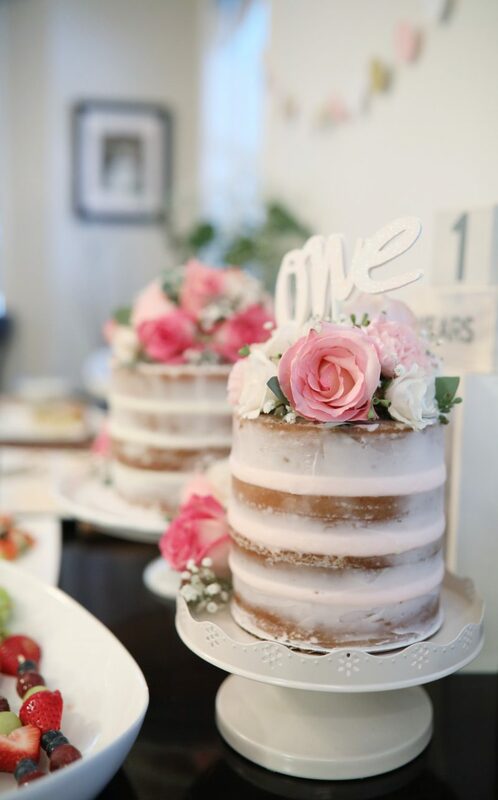 Look how gorgeous these cakes turned out! The colour scheme I went for was pink, gold, white, and greenery. I picked up a party package from Amazon that came complete with a bunting banner, paper garland, and glitter vertical garland. Also, from Amazon.ca, I ordered some fun paper straws because I just love the little details and these were just too cute to pass up! My husband was in charge of the food because thats his department around here and lets face it, he just does a great job! He made an assortment of appetizers including a wrap tray, veggie tray, “caviar” (I’m not kidding…we all had a bit of a laugh about caviar at a one years old birthday LOL) and a variety of other goodies. My contribution was some fruit skewers and flower shaped rice kristy treats! 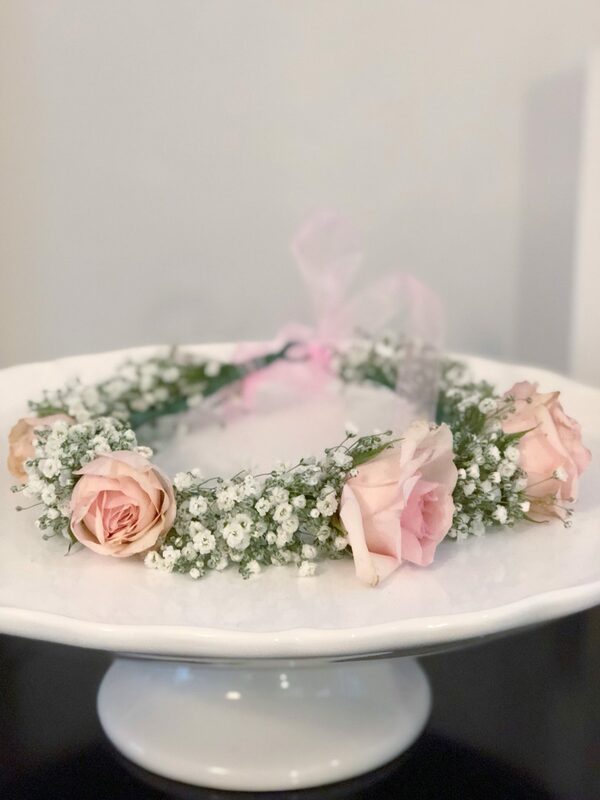 To go along with the floral theme, I really wanted to have a little floral crown made for Mila. I thought it would be the perfect piece to complete her party apparel and a sweet little keepsake. 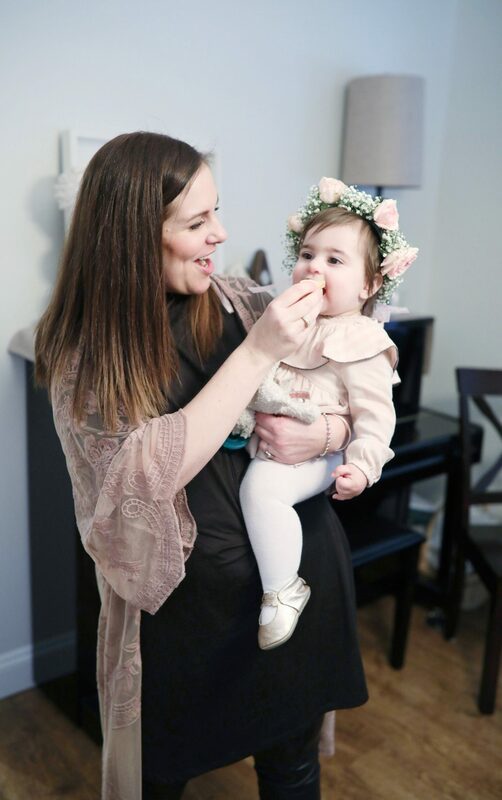 Once again, Thrifty Foods floral department came through with flying colours and made the most beautiful little crown for Mila to wear at her party. 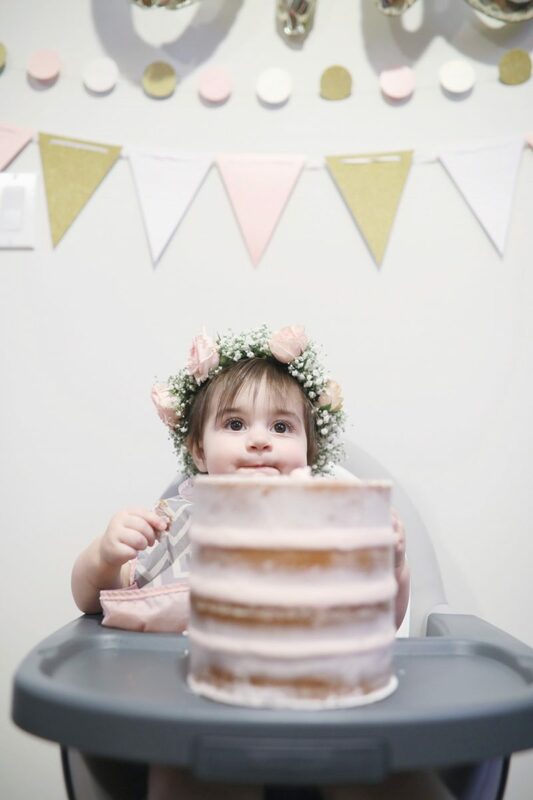 It was such a sweet celebration for our little Mila girl and were so thankful for the friends and family that came to shower her with love! 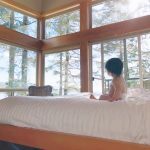 Next Post Our Family Stay at Pacific Sands Beach Front Resort | Tofino, B.C. 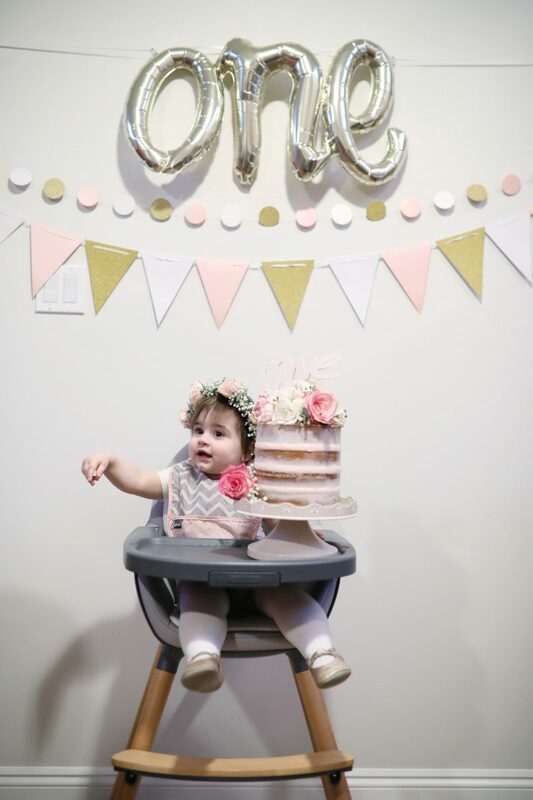 Wow, her first birthday party is way more chic than any party I’ve ever had!! Lol, beautiful photos! Her birthday looked so beautiful! I hope she had ana mazing time! Her birthday looked so beautiful! I hope she had an amazing time! 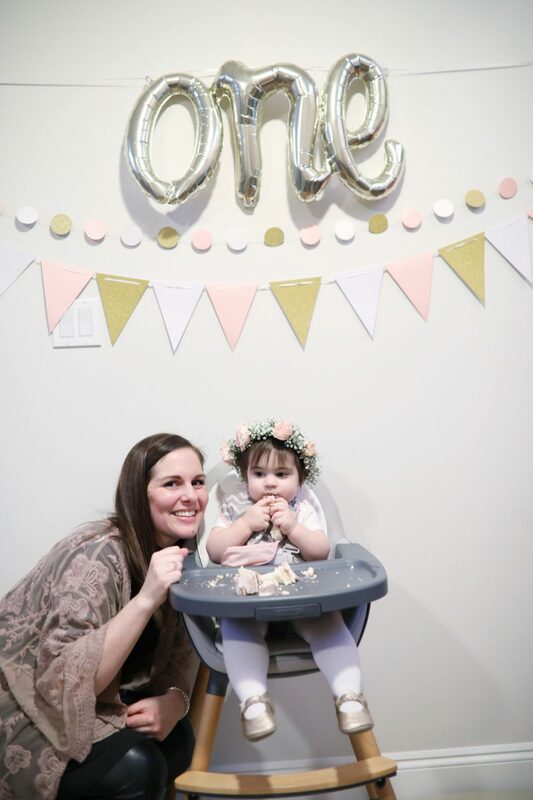 What a beautiful first birthday party! I love the colors and the cake!!! What a cute party! I love the colors you chose.